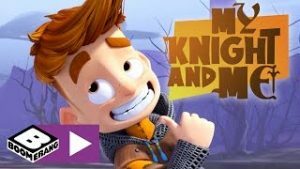 “My Knight and Me” premieres in the UK on Cartoon Network/Boomerang ! “My Knight and Me” / “Mon Chevalier et Moi” premieres on Turner’s Boomerang in the UK on Tuesday November 1st. New episodes will air every weekday at 6PM.